Military personnel stationed abroad or dealing with actual combat in some far-off desert have it tough enough without having to stress about what is going on with the car back home or with their driver's license. It may be a bit different for those simply perched on a base in a different state. But it can be a regal hassle in any case, especially if you need to renew the registration in the home state and need an emissions test. Talk about a pain. Of course, you could always request leave to make a colossal road trip back home. Thankfully, the Motor Vehicle Division (MVD) makes it easy on those serving in the military that happen to be far away from the Land of Enchantment. Of course, it works in reverse too. Those in the military from another state who are stationed at a New Mexico base also get a few perks. If you're an active duty member of the military your license will stay valid until the 31st day after your return to New Mexico. Those stationed on a New Mexico base but maintaining residence elsewhere can hold onto their current license. There is an unwritten rule that if you are out of state while your car registration expires, and the vehicle just sits in a driveway somewhere until you return home, you can wait until then to renew it. Most likely the MVD will even waive any late fees if you provide valid proof that you were someplace where you were in no position to write a check to the Department of Taxation or hop on the computer. But considering that you can renew online, you shouldn't have to take the risk. You also have the option of renewing by telephone using a credit card. Simply call (888) 683-4636. If you are a nonresident stationed in New Mexico, you can drive your vehicle with your own state's plates. The option is yours to switch the registration and title over to New Mexico, but it is not a requirement. 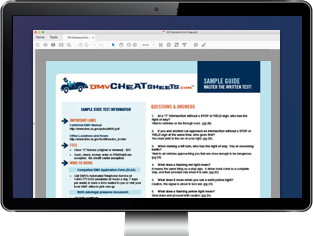 If you are based out of state and have your vehicle with you, but you need an emissions test to complete a registration renewal, you can apply for a time extension. However, if the base where you are located is in an emissions testing environment, you will instead need to have your vehicle tested there. After passing the test in that state, send the results to the pollution management office in Albuquerque along with your renewal card and registration fees. They will then forward the paperwork to the MVD. Provide evidence that you are insured, just in another state. Supply proof that you actually do live in another state by sending in a document linking you to an abode with a non-New Mexico address. This can come in the form of a telephone or utility bill. Complete an Affidavit of Non-Use/Out of State form. If you have any questions, contact the Insurance Identification Database (IIDB) call center at (866) 891-0665.